It’s so fun to see Finney all about his decoratin’ for Christmas! I hope you loved seein’ him in his bed, after lights were out, enjoyin’ lookin’ at his lighted tree! How fun is that?! Looked pretty cozy ! If anyone would like to know about some traditional Irish Christmas customs, (C) Copyright http://www.ireland-information.com gives us some fun information. 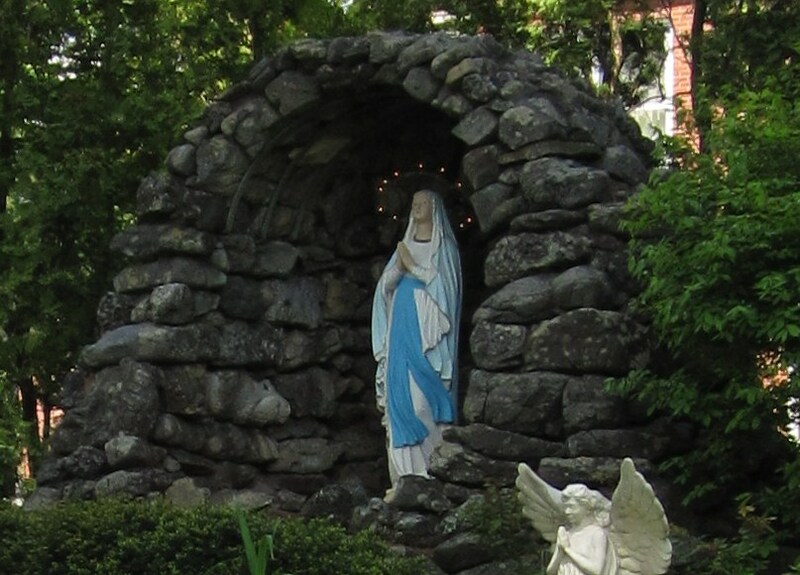 We read that a candle in the window is “a symbol of welcome to Mary and Joseph as they travelled looking for shelter.” Also, during Penal times, when priests were not allowed to offer the Holy Sacrifice of the Mass, a candle in the window would indicate a “safe place” to offer Mass. 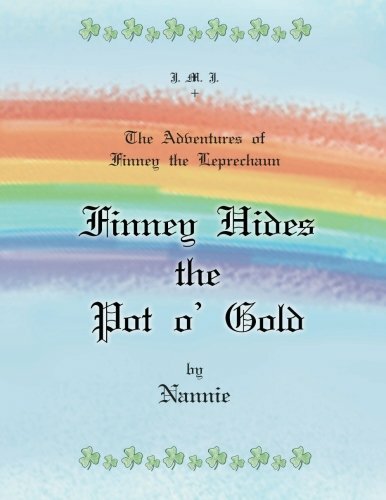 Finney shows us how pine cones become beautifully sparkly gold-y with a generous sprinklin’ of gold dust from the bottom of the pots o’ gold! I’m sure you can see why the Leprechauns love King David! We mentioned in the story-rhyme about Missie the donkey (Post #67), that, because Finney loves Missie as he does, he always wants to make sure the donkey has a special place in every Nativity scene. Finney also loves to see the Nativity scene with lots of sheep, with a special thought for King David! This shouldn’t be hard because Ireland has lots of sheep! Finney knows that, as a shepherd, King David took care of his sheep. A shepherd will leave the herd of sheep, if one is missing, and go to find the little lost one. St. Patrick taught that this is what Jesus does, too. Jesus is our Good Shepherd. Finney must be all worn out because of all the decoratin’ work he has done! He probably could not wait to get to bed! He also wants to be very sure that he does not see Santa. We all know that we should be asleep pretty quickly on Christmas Eve, because Santa needs his privacy and does not want anyone see him do his work! Sleep well as we await the birthday of little Jesus, the King of Kings! This Christmas scene was painted by Stevie Towne. *We spoke of my Dad’s name being David…he would speak of himself as Daíthín (sounds like Dah-heen) …little David…how fun that is! We are so excited to hear of the meaning of leaving candles in the window as we place them in our windows too – thank Finney for sharing😊 Merry Christmas! Thank you so much Tina and Stella! It certainly makes for great fun that you stopped by! Thank you for your nice note and lovely Christmas wishes. 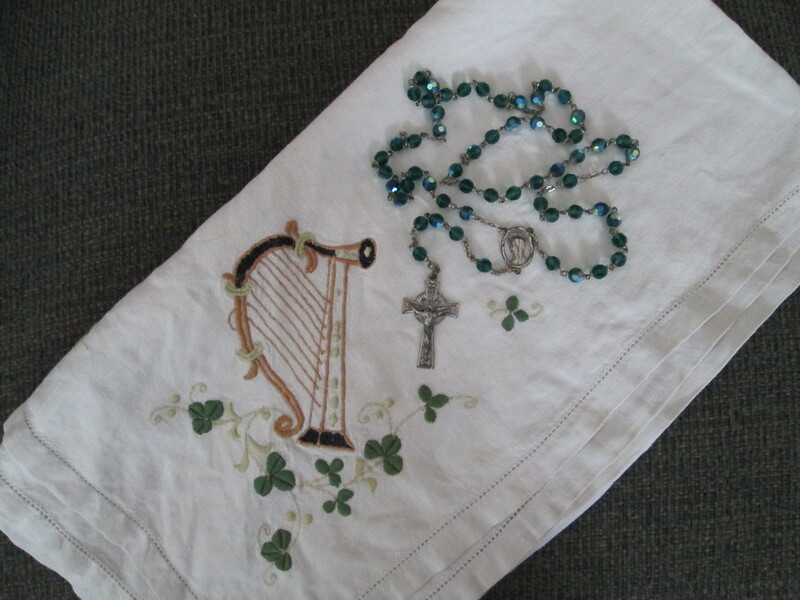 Irish customs, history, and lore, I have found, are like an excitin’ adventure into the corners of our memory…that sense of Faith and Divinity seem to be everpresent. Merry, merry Christmas to you! Lots of great stuff in this post! I love all the Irish customs especially the candle in the window…we’ll be sleeping tightly on Christmas Eve so as not to disturb Santa! ‘Tis a wise thing you’re sayin’! Sure ‘n ’tis Santa’s way, to need a bit o’ privacy! I am very careful about this! Can’t wait till Christmas mornin’!